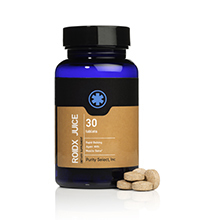 Ideal for pure bulking, Roid X is also very effective for quick muscle recovery. Weight lifters normally need at least 72 hours after a strenuous workout, to recover from muscle exhaustion. All you have to do is take just 1 tab a day of Roid X and it will drastically reduce your muscle recovery time. This will enable you to workout more frequently and more intensively. I am a powerlifter and I’m looking to bulk up without gaining water weight. With this product do you have to take PCT and estrogen blocker? Also is it toxic to your liver. GAINS bigger, just slight improvement. More the fact that I’ve gained bulk over muscle. Which is a good thing, seeing as its only been 2-3 weeks. I am pretty happy with this so far, and i know all the comments seem to be about the side effects.. I have not had ANY side effects what so ever, apart from having an increased appetite. which to me isn’t a bad thing. I feel good to be honest. In my opinion, this is a good product that i will be sticking to for at least 3 months, to see how this works on a longer scale. If I use this supplement will it show up on a urine test, I'm a 5'7 lineman and I weigh 230, I’m a competitive weight lifter and I'm looking for a supplement to make me huge for football and weightlifting. I NEVER write reviews on any supplement site! But… I got a 3 month supply of this and D-bol. Im on my 3rd day of taking 1 roid x a day and 3 dbol a day. I workout 5 days on and 2 days off. just got home from the gym and i am blown away. went up 20lbs on my bench today where I couldn’t even budge it last week. was stuck on 205 for ever. did 3 reps of 225 today! so I NEVER write reviews on any supplement site! But… I got a 3 month supply of this and D-bol. Im on my 3rd day of taking 1 roid x a day and 3 dbol a day. I workout 5 days on and 2 days off. just got home from the gym and i am blown away. went up 20lbs on my bench today where i couldn’t even budge it last week. was stuck on 205 for ever. did 3 reps of 225 today! so yes IT WORKS!!! !